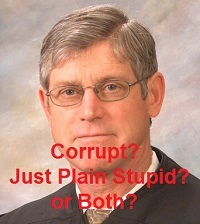 Is Judge James A. Haynes of Ravalli County Montana Corrupt, Stupid, or Both? On December 3, 2015, Bill Windsor filed a Motion to Dismiss one of his criminal charges due to expiration of the Statute of Limitations. Crime or Offense or Event: a violation of any penal statute of the state of Montana. The State of Montana has charged in writing that Bill Windsor committed the crime of violation of a protective order on August 24, 2013. Charge: a written statement that accuses a person of the commission of an offense, that is presented to a court. In Montana, a criminal complaint is made by the filing of an "Information." When leave to file an information has been granted, a warrant or summons may issue for the defendant's arrest or appearance, so this marks the beginning of the Prosecution. The State of Montana filed its Information on October 3, 2014. Offender: an accused defendant in a criminal case. In this matter, Bill Windsor is the alleged Offender -- the person who allegedly committed this crime. Prosecution: A proceeding instituted and carried on by due course of law, before a competent tribunal, for the purpose of determining the guilt or innocence of a person charged with crime. The "Prosecution" begins when the charge is filed. In this matter, that was October 3, 2014. Proceeding: a case heard and determined by a court. In this matter, the case is DC-14-509 in the Fourth Judicial District Court in Missoula County Montana. As the Docket shows, it began on October 3, 2014. Lesser Included Offense: defined in MCA 46-1-202(9) "Included offense" means an offense that: (a) is established by proof of the same or less than all the facts required to establish the commission of the offense charged; (b) consists of an attempt to commit the offense charged or to commit an offense otherwise included in the offense charged; or (c) differs from the offense charged only in the respect that a less serious injury or risk to the same person, property, or public interest or a lesser kind of culpability suffices to establish its commission. Wikipedia explains it more clearly: A lesser included offense, in criminal law, is a crime for which all of the elements necessary to impose liability are also elements found in a more serious crime. For example, the common law crime of larceny requires the taking and carrying away of tangible property from another person, with the intent to permanently deprive the owner of that property. Robbery, under the common law, requires all of the same elements, plus the use of force or intimidation to accomplish the taking. Therefore, larceny is a lesser included offense in the offense of robbery, as every robbery includes a larceny as part of the crime. Assault is also a lesser included offense of robbery, just as battery is necessarily a lesser included offense to murder, and false imprisonment is usually a lesser included offense to kidnapping. In this matter, there was only one charge: violation of a protective order by not giving Sean Boushie the website owned by Bill Windsor promoting his movie and TV expose of Sean Boushie's criminal activiites. It was not a lesser-included offense of anything. It was a stand-alone offense. Statute of Limitations: Laws passed by a legislative body to set the maximum time after an Event when legal Proceedings may be initiated. When the period of time specified in a statute of limitations passes, a Charge can no longer be filed. The statutory specifications are referred to as "limitations." 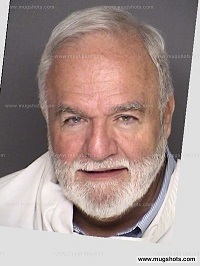 Bill Windsor's alleged crime is a misdemeanor. The Statute of Limitations is one year. This means the Charge for the August 24, 2013 alleged crime had to be filed by August 23, 2014. Tolling: A legal doctrine which allows for the pausing or delaying of the running of the period of time set forth by a statute of limitations. This is not relevant in this case as is explained below. Motion To Dismiss: A motion filed asking a court to dismiss a case or Charge. William M. Windsor, Defendant, files this “Motion to Dismiss Charge #1 – Website due to Statute of Limitations,” pursuant to Montana Code Annotated (“MCA”) 45-1-205(2)(b), with incorporated Brief in Support. Windsor contacted the prosecutor’s office for concurrence, and Ms. Jennifer Clark stated that she will oppose this motion and did not have the time to justify the opposition. Statute of Limitations has just become a defense in this case as the November 13, 2015 Second Amended Information [Docket #157] charges Count #1 as a misdemeanor. The State indicates this alleged crime was committed on August 24, 2013, over one year prior to the October 2, 2014 charge. The original Information said the alleged crime took place on October 2, 2014. The substantive criminal statute is MCA 45-5-626: “(1) A person commits the offense of violation of an order of protection if the person, with knowledge of the order, purposely or knowingly violates a provision of any order provided for … under Title 40, chapter 15.” The explicit language of this statute precludes any claim that the offense is a continuing one. If it was a violation as charged, that violation took place on August 24, 2013. A particular offense should not be construed as continuing “unless the explicit language of the substantive criminal statute compels such a conclusion, or the nature of the crime involved is such that [the legislature] must assuredly have intended that it be treated as a continuing one.” (Toussie v. United States (1970), 397 U.S. 112, 115, 90 S.Ct. 858, 860, 25 L.Ed.2d 156, 161, citing United States v. Scharton (1932), 285 U.S. 518, 52 S.Ct. 416, 76 L.Ed. 917. The statute of limitations is a jurisdictional issue. Milanovich v. Milanovich, supra. The alleged crime was committed on August 24, 2013 and was not charged until October 2, 2014. This Court has no jurisdiction as the statute of limitations on this misdemeanor expired. In addition, the Second Amended information does not comply with the law. MCA 46-11-205 requires an affidavit stating facts that show the existence of probable cause to support the charge as amended. There is no affidavit. WHEREFORE, for the reasons stated above, William M. Windsor requests that this Court order that Charge #1 is dismissed and order that Windsor has no restrictions on his websites. On December 3, 2015, Judge James A. Haynes scribbled an "order" in the upper right hand corner of the Motion. It says: "Defendant Windsor consistently extracts snippets of the law convenient to his arguments, and overlooks the rest. He has done so again, ignoring 45-1-206(3) MCA and State v. Moga, 1999 MT 283, 297 Mont. 1, 989 P.2d 856. This 'motion' may be filed, and this Order Denying Windsor's Motion to Dismiss is Final and requires no further briefing." First, he headed this Motion off at the pass. 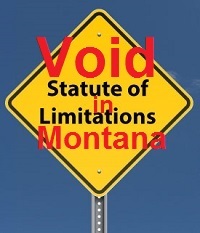 The State of Montana was not required to file a response, as the rules provide. So, Bill Windsor was denied due process. The State should have either responded that he is correct or come up with some bogus argument against the Motion. Judge James A. Haynes didn't even allow the Clerk of the Court to file the motion until after he decided whether he would allow it. Judge James A. Haynes has not allowed many of Bill Windsor's motions as this is one of the ways corrupt judges taint the record in a case. Second, Judge James A. Haynes did not issue an actual order. This is a simulated action that will not actually show up on the Court Docket. Third, he has once again demeaned Bill Windsor improperly, demonstrating his extreme bias. Bill Windsor has never extracted snippets. He always reviews every case on an issue. In his Motion, he cited eight cases, including the only case that Judge James A. Haynes cited. Bill Windsor cited four relevant statutes while Judge James A. Haynes cited a statute on tolling that has no relevance whatsoever to this matter. He further demeans Bill Windsor by putting the word "motion" in quotes so as to mock it. The motion is perfect -- short, sweet, totally in compliance with the Montana Rules of Civil Procedure and the District Court Rules and the Local Rules, and a slam dunk winner. Criminal defendants are entitled to a fair and impartial judge. "Judge" James A. Haynes is totally biased, and Bill Windsor has been repeatedly denied a fair pre-trial, and he expects the same mistreatment at the trial. Fourth, he committed obstruction of justice by lying in his Order, and he denied Bill Windsor's Constitutional rights to due process. He cited a completely bogus statute as his authority -- MCA 45-1-206(3). Here's what this statute says: "45-1-206. Periods excluded from limitation. The period of limitation does not run during: (3) a prosecution pending against the offender for the same conduct, even if the indictment, complaint, or information which commences the prosecution is dismissed." This statute clearly addresses periods of time that are excluded from the statute of limitations period. The statute immediately preceding MCA 45-1-206 is MCA 45-1-205. General time limitations spells out the limitations periods for various crimes. MCA 45-1-205(2)(b) says: "(b) A prosecution for a misdemeanor must be commenced within 1 year after it is committed." So, let's put this in terms that a Fifth Grader in a state other than Montana would understand. A "Limitation" sets the maximum time after an Event when legal proceedings may be initiated. The State of Montana says the Event in this matter took place on August 24, 2013. So, the clock starts on August 24, 2013. The Limitation on this charge, a misdemeanor, is one year. So, legal Proceedings had to begin not later than August 23, 2014. But they did not begin until October 3, 2014 -- 406 days -- 41 days past the one year time limitation. Judge James A. Haynes said in his "order" that Bill Windsor ignored 45-1-206(3) MCA. Damn right he did because it has no relevance at all. The Prosecution began on October 3, 2014. The Limitations period had already expired. There was no limitations period to run after the Charge was filed. Bill Windsor searched every appellate court decision EVER on MCA 45-1-206(3), and State v. Moga, 1999 MT 283 (Mont. 11/23/1999) is the only case. But all it says is that (a) a prosecution for a misdemeanor must be commenced within one year after the offense is committed; (b) MCA 45-1-205 provides that a prosecution is commenced when an information or complaint is filed; (c) the Event (crime) was committed on March 13, 1997, and the Information was filed on April 7, 1997, so only 25 days after the Event, well within the one-year statute of limitations for misdemeanors; (d) the running of the statute of limitations is tolled when a prosecution is pending against the offender for the same conduct. An Amended Information was filed April 14, 1998, and Mora argued that the Event was March 13, 1997 and the Amended Information was April 14, 1998, so the one-year statute of limitations expired. But that argument was bogus and this is irrelevant in this case because Bill Windsor's Event was August 24, 2013, and the Prosecution began on October 3, 2014 -- 41 days past the year limitation. If Bill Windsor was making the bogus argument that Mora made, he would be claiming that the Amended Information filed on November 13, 2015 meant that there had been 812 days. Mora tried to use the Amended Information to turn his 25 day Event to prosecution time into 392 days by claiming the commencement of the prosecution didn't begin until the date of the Amended Information. The Amended Information in Bill Windsor's case is irrelevant to the Statute of Limitations. Bill Windsor says that Judge James A. Haynes appears to be intelligent, just mean and dishonest. But it is hard to explain how a "judge" can say that Bill Windsor did not qualify for a temporary order of protection as Sean B**shie had not been arrested or convicted. That's what Judge James A. Haynes ordered on August 9, 2013 after Sean B**shie attempted to murder Bill. The statute on temporary orders of protection is MCA 40-15-102, which clearly states: (5) A petitioner is eligible for an order of protection whether or not: (a) the petitioner reports the abuse to law enforcement; (b) charges are filed; or (c) the petitioner participates in a criminal prosecution. A Montana district court "judge" may not be the sharpest knife in the drawer, but a Fifth Grader (from any state but Montana) reading the statute would see and understand this. Now he comes up with this ridiculous order to block the dismissal of one of the bogus charges. Once again, even a Montana judge should be able to read a statute and review a case and comprehend what it says. Bill Windsor believes Judge James A. Haynes is intelligent, just not smart enough to come up with a better way to camouflage his corruption or maybe he simply realizes that his corrupt bretheren will cover for him so he doesn't have to think. One thing is crystal clear: Judge James A. Haynes is a corrupt judge. Section 45-1-205(2)(b), MCA, provides that a prosecution for a misdemeanor must be commenced within one year after the offense is committed. The Jefferson County DUI charge against Moga was based on events of March 13, 1997, but the amended information charging Moga with misdemeanor DUI was not filed until April 14, 1998. Moga argues that the misdemeanor DUI charge against him in Jefferson County should have been dismissed for untimeliness pursuant to § 45-1-205(2)(b), MCA. In so arguing, Moga relies upon this Court's opinion in State v. Larson (1989), 240 Mont. 203, 783 P.2d 416. In that case, the criminal offenses at issue occurred in October 1985. No charges were filed, however, until February 1988. At trial, the court reduced a theft charge from felony to misdemeanor after receiving evidence of the value of the items taken. In our opinion upholding the conviction, we stated, "[a]s a general rule, a defendant may not be convicted of a lesser included offense when the statute of limitations has run on that offense but not on the larger offense charged." Larson, 240 Mont. at 205, 783 P.2d at 417, citing the Criminal Law Commission Comments to § 45-1-205, MCA. The Court's decision did not follow from that statement, however. Instead, we ruled that because the defendant had failed to bring this claim in the district court, he was barred from bringing it on appeal. Larson, 240 Mont. at 206, 783 P.2d at 417-18. Moreover, there are important factual differences between this case and Larson. In the present case, the first Jefferson County information was filed on April 7, 1997. Subsection (8) of § 45-1-205, MCA, provides that a prosecution is commenced when an indictment is found or an information or complaint is filed. The running of the statute of limitations is tolled when a prosecution is pending against the offender for the same conduct. Section 45-1-206(3), MCA. We conclude that the Jefferson County prosecution against Moga was commenced and began to toll the statute of limitations when the original information was filed on April 7, 1997, well within the statute of limitations for misdemeanors. The amendment of the Jefferson County information did not retroactively deprive the District Court of jurisdiction based on the statute of limitations for misdemeanor offenses. We hold that the Fifth Judicial District Court did not err in denying Moga's motion to dismiss because of time limitations. Bill Windsor will be doing a special filming after the trial in Missoula. He want sto try to get as many victims as possible to come to the trial. Then a group session will be filmed followed by filming of individual stories. So, if you are in Montana or have friends there, please ask them to participate. January 5-6, 2016.